Why Choose Us for Your Dental Implant? Imagine this: An implant surgeon is performing a thorough examination of your mouth. The surgeon rotates your jaw from side to side and up and down, looking for the optimal sites in which to place dental implants — and the proper size, shape and orientation for the implants to have. He or she may test several alternatives, considering the underlying anatomical structures, and the bone density and quality that the examination reveals. Finally, a surgical plan is developed: This includes a set of precise specifications for implant position, size and depth, and a template for creating a perfectly fitting set of replacement teeth. But no invasive procedures of any type have been performed so far. In fact, you aren't even present. Welcome to the world of computer-guided dental implant surgery. What we have described is one step in the process that allows you to receive a set of replacement teeth with the minimum amount of surgery (and time spent in the dental chair), and the maximum level of preplanning foresight. It can result in faster overall treatment time, less discomfort, and an outcome that pleases everyone. Let's look a little more closely at the entire process of computer-guided implant surgery — a procedure at the forefront of dental implant technology. 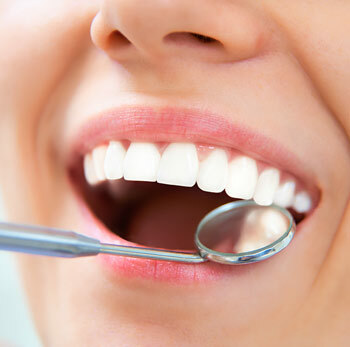 It all begins with a complete examination and modeling of your existing teeth, gum and jaw structures. In many cases, a physical impression (replica) of the jaws is made, which will aid in planning the location of the new teeth. But the modeling doesn't stop there: A high-tech, three-dimensional CT (computed tomography) scan is also performed. This allows us to examine the structures (including bone, nerve tissue and sinus cavities) which lieinside the jaw. It is often accomplished using “cone-beam” CT technology, in which the scanning device quickly captures a complete digital image of internal structures as it rotates around your head. The next step of the process relies on powerful computers and sophisticated software to take the raw CT scan data and translate it into a 3-D model of the jaw. This virtual model can be manipulated on a computer screen — rotated, measured, even “operated” on — so that we can visualize the placement of dental implants and determine their optimum position with a high degree of accuracy. Using this technology, it's now possible for us to evaluate anatomical structures virtually — structures it once would have taken surgery to reveal — and to plan out the implant procedure accordingly. The 3-D model we have developed is then used for two purposes: to create a precise guide for the implant surgery, and to allow the dental laboratory to pre-manufacture a set of replacement teeth that will fit precisely in the jaw. An advanced set of CAD/CAM (computer aided design/manufacture) processes is used to generate the physical objects — in this case, the surgical guide and the prosthetic teeth. Depending on your individual situation, the new teeth may be attached the same day as implant surgery, or after a healing period of 6 to 12 weeks. In either case, our precision modeling ensures that they will fit perfectly with the implants and the jaw. The implant surgery itself is typically performed under local anesthesia, and often requires no sutures (stitches). In the surgical procedure, the template we have produced (which resembles a nightguard or athletic mouthguard) is securely (but temporarily) fixed in position on the jaw. The openings in this template form precise guides for the placement of the implants — accurate in terms of position, width and depth. In fact, the implants fit so perfectly into these prepared sites that we can have new teeth placed the same day as implant surgery. Since so many of the details have been accomplished in the planning stages, computer-guided implant surgery is typically uneventful for the patient. It can result in shorter time in the chair, less discomfort during recovery — and a highly pleasing result. It has even been called the most significant innovation in implant technology since osseointegration — the fundamental process by which a dental implant becomes fused with the bone.